Following the success of last year's exhibition, we teamed up again with medical student Tilly Evans and mental health charity My Discombobulated Brain to open a competition asking students to get inspired by mental health and create a piece of original artwork. 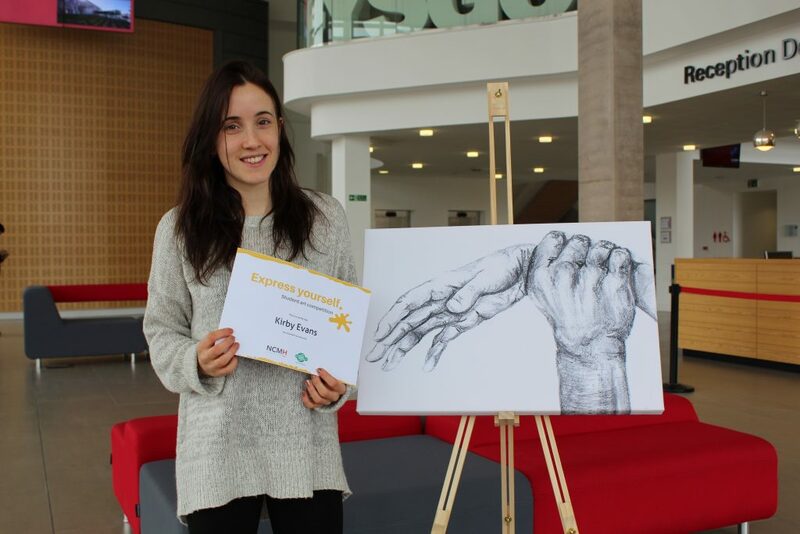 Tilly was inspired to open the competition after she took part in the C21 Medical School artwork competition for three years running, in which there were always many inspiring pieces about mental health. The competition was organised to celebrate University Mental Health Day with an exhibition to showcase the winning pieces and runners-up. Sadly this year’s exhibition had to be cancelled due to the heavy snow that brought Cardiff to a standstill. We were thrilled to still be able to get the submissions judged! Congratulations to winners LMJ, Kirby Evans and Rucira Ooi who took first, second and third prize respectively. Congratulations as well to runners-up Hayley Moulding, Megan Hunter, Angharad May, Rebecca Fraser, Naomi Warne. To see more photos of our competition entries visit the NCMH Facebook page. The entries were judged by Laura Dernie, a research champion for NCMH and creator of My Discombobulated Brain; Munzir Quraishy, student & filmmaker at Cardiff University; Dr Jude Harrison, trainee psychiatrist at Cardiff University and Alex Stewart, photographer.